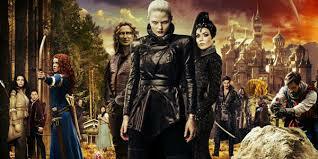 Hollywood, CA, United States (4E) – “Once Upon A Time” Season 6 will reportedly be exploring new story lines as it was reported that Aladdin and Jasmine, as well as Greek God Morpheus, will be featured in the upcoming episodes of the hit ABC show. Leaked photos from the set of the show also featured a hooded figure making fans speculate who the Dark One is. Greek God Morpheus will be joining Belle, played by Emilie de Ravin , as well as Rumplestiltskin , played by Robert Carlyle. The actor tapped to play the role of Morpheus for “Once Upon A Time” Season 6 I said to be Giles Matthey . As per the description of Morpheus, the character is said to be quick-witted, insightful god of dreams, good at reading people, and is hiding his own agenda. It remains unclear how Rumple will cross paths with him but in the “Once Upon A Time” Season 5 finale, Belle was placed under a sleeping curse and Morpheus is said to appear and guide her in the world of dreams. He will be getting in touch with Rumple but details about that remain unclear. There have been rumors that Jasmine and Aladdin will be ending up in Storybrooke in “Once Upon A Time” Season 6. It is possible that they are part of the Land of Untold Stories but there have been no confirmations about this yet. Mr. Hyde will be bringing along Sinbad and Scheherazade so it is possible that Jasmine and Aladdin will be facing them in the new episodes of “Once Upon A Time.” It was also announced last month that producers are looking for a Middle Eastern/Arabic male actor to play the role of a charming and quick-witted hero. As for the leaked photos, a hooded figure was seen on set of “Once Upon A Time” Season 6. Fans believe that it is the Dark One but the question is who will it be this season. Last Season, most of the Dark Ones were seen when Emma took over the dagger. Will it be Rumple again or will it be a new character? In the leaked photos, Emma was seen battling the hooded figure so it is unclear who is the face under the hooded figure. “Once Upon A Time” Season 6 will be released this September 25 on ABC.